United Way brought business and labor together Tuesday in an effort to help low-income San Diegans claim the full amount of their tax credits and put that money back into the local economy. 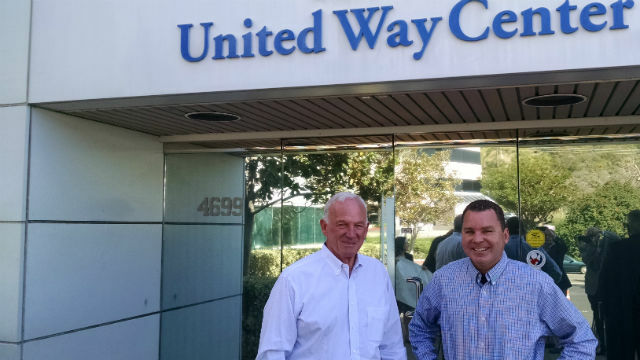 At the United Way’s urging, the San Diego Regional Chamber of Commerce and the San Diego and Imperial Counties Labor Council are partnering to spread awareness of free tax preparation help and the potential value of the Earned Income Tax Credit. Kevin Crawford, president and CEO of the United Way of San Diego County, said his organization has partnered with the Internal Revenue Service and the county to offer free tax help in multiple languages at 75 sites. He said tax preparers will help individuals get back up to $6,000 through the earned income credit. “From the business perspective, the Earned Income Tax Credit provides a direct benefit to local companies because it puts money back in buyers’ pockets,” said Jerry Sanders, president and CEO of the chamber. Crawford said that last year, the United Way helped file 48,000 returns and recover $10.5 million for San Diegans. He praised business and labor for working together and said the program is typical of the United Way’s efforts to promote change. “The United Way is going full throttle as the region’s catalyst for change,” he said. The free help is available to anyone earning $53,000 or less. Help is available online at MyFreeTaxes.com or in person by calling 2-1-1 or going to ThriveSanDiego.org to make an appointment.